To be completely honest, Gabby was not really into the beginning graphics at the start of the show. However, Once the catchy tune picked up and she caught a glimpse of LIVE animals, she was hooked! Me: Hey Gabby, Do you like the show now? Gabriella: Yea Mommy, I want to go there! To the Jungle. Me: Ok, and which animal is now your favorite? As soon as the live animals started to appear, I knew it was a great show. Not only did my daughter ask a lot more questions, but she actually got what they were talking about. The show is how she knew how the porcupine defends itself and why you should NEVER touch one. 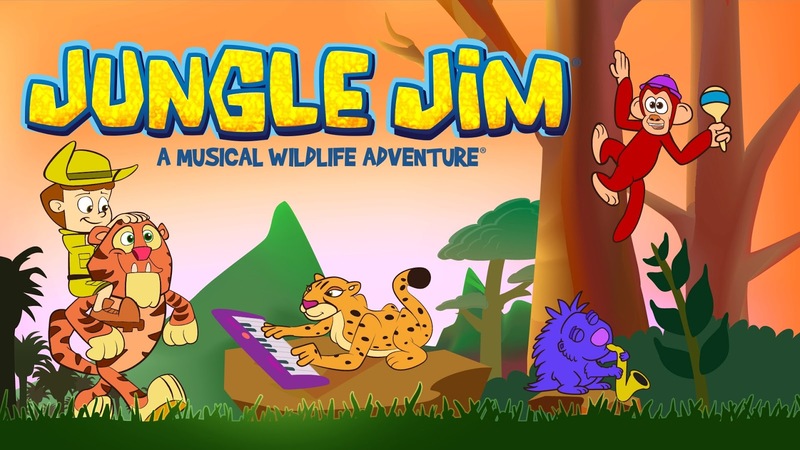 Parents and educators alike have praised the unique ability of Jungle Jim music videos to educate, excite and inspire. The images are colorful, the characters are pretty fun, and the music is infectious. The LIVE wildlife footage brings it all together so kids can develop a greater understanding of the infinite variety of the world around them. They will remember important animal facts because they will be singing about them together with Jungle Jim and his animal friends! Still not convinced? Well, Jungle Jim has gotten excellent feedback from parents. They have 488 (maybe more) amazing reviews on Amazon (not one negative review) and over 1000 amazing reviews on YouTube (also no negative reviews); families everywhere are saying how much they love the show. As a Special Offer for my readers, If you watch the show and leave a review on Amazon, then send an email to info@junglejimmusic.com with a link to your Amazon review, the company will mail you a FREE DVD of the 15 minute pilot! Love this show or what? 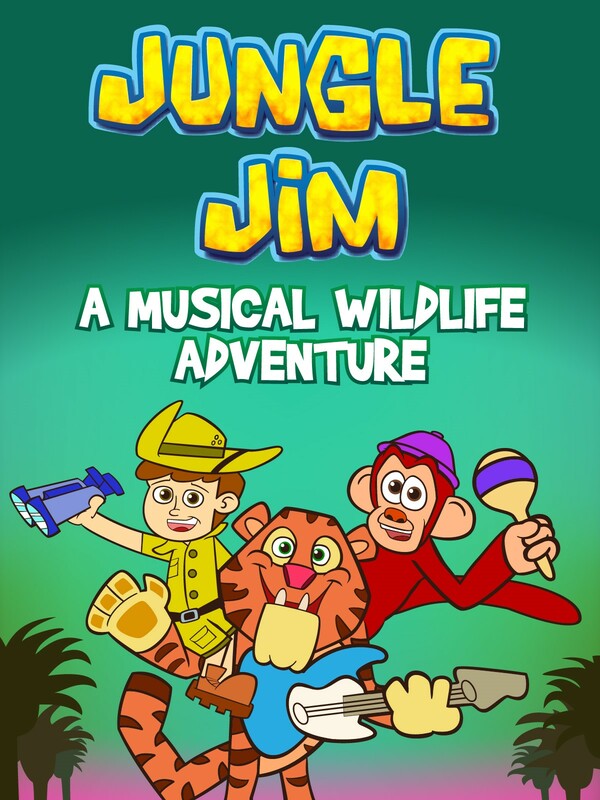 Disclosure: This post is part of a sponsored campaign for Jungle Jim - A Musical Wildlife Adventure. I received compensation for my participation, but my review and opinions are my own. AWWW I wish this was around when my kiddo was this age! He would have LOVED this! My nephew is just getting into this age so it would be perfect for him! I have not seen this app before!! What a fun looking one, I know my kids would have loved it at this age! Looks like a really cute show for a little one. I know my son would've loved these when he was much younger. I love shows like this for the little ones. They're always great for getting them excited about learning. Always looking for things that will teach and still be fun for the grandkids. That looks like so much fun. My kids always loved animals, so that would have been perfect when they were little. This sounds pretty cute. My kids used to love videos about animals when they were around that age. Awww how cute! I wish my son was at the age where he was into stuff like this again. I don't like this growing up thing! This sounds like a great show. I am impressed that it has over 488 amazing reviews on Amazon. That is remarkable. Choosing or having something that your kid will enjoy is really hard to find. Good thing there is this one. I'll definitely share this to my mommy friends. never seen the app before. it looks interesting tho, im sure my kids will love this app! What a great thing for kids. My kids would have loved it at this age! I love shows like this that are both entertaining and educational. I think my kids would really enjoy this program. Id love to check it out! This app looks awesome! I definitely need to share with my sister in law for my nephew, he's a genius when it comes to smart phones and he'd LOVE this! I'm the same way. I find something I like and I stick with it. I rarely like to try something new especially when it comes to TV. I'm picky with my TV, however, it sounds like she warmed up to the new show! How cute! My son used to be obsessed with learning about animals. He would have loved this! I'll have to check this out - it sounds like something my kids would love to watch! Thanks for the heads up!